We can already predict the names we’ll see on the Best Albums lists–Kendrick, Kanye, Future, etc.–and deservedly so. But there’s another class of albums that deserve a moment in the spotlight. These are albums that didn’t top the charts or rewrite the history books but were still outstanding, albums we simply listened to more than any other this year, albums that became so embedded in our daily lives that they’ll be forever linked to 2015. We call those “lowkey” albums, and by that criteria, Toro Y Moi’s Samantha is our Lowkey Album of the Year. Chazwick Bradley Bundick is man of many names, but he’s best known as Toro Y Moi, and he first popped up on our radar with 2013’s Anything in Return album, a project that mixed danceable pop with an undercurrent of heartbreak. In the last two years, Toro has released a host of music under a host of names (he has side projects to his side projects), but it’s Samantha’s compilation nature that finds him at his best. Toro Y Moi has been labeled “chillwave” for much of his career, and like many genre labels, it’s a tag that’s both reductionist and apt. In practice what means is this isn’t an album that hits you over the head; it’s an album that wraps around you, becomes your go-to soundtrack during Sunday-morning coffees and Friday afternoon train rides home. Press “play” on the looping, ambient haze of “Want” and four hours will pass before you’re willing to listen to anything else; put on “Ambient Rainbow” late at night and you’ll wake up in the morning with the song still on repeat, call the squad over for a dinner party, and play “Power of Now” the entire time. You can hear much of Samantha’s roots in some of 2015’s biggest artists. It wouldn’t be unthinkable if Aubrey’s been bumping “Boo Boo Mobile” this year too. But whether Toro’s influence is direct or more round-about, You want heartbreak? Much of the album circles around a break-up (presumably with a girl named Samantha) and songs like “Want” and “welp, tour’s over” are the kind of remorsefully catchy songs about love lost that you could almost hear Future on. Similarly, Toro’s tendency to layer sharp percussion over soft samples brings to mind how a lot of big producers like Boi-1da are incorporating trap elements into otherwise soulful instrumentals. The point is, even listeners who might not consider themselves particularly adventurous might be surprised by how comfortably familiar much of Samantha sound. Are we really going to call an album by a relatively unknown artist, an album that’s half instrumentals, the album of the year? No, that would be trolling. But for those exact reasons we are going to call it the lowkey album of the year. This is exactly the kind of album that’s so low profile it’s going to pass below most people’s radars, and exactly the kind of album that quickly becomes a necessity for those who do pick up on it. 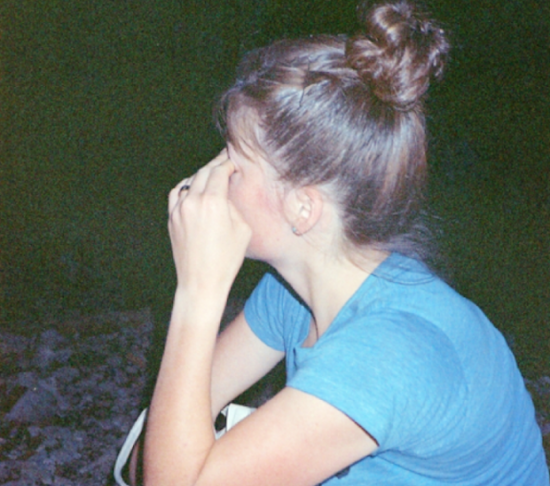 So trust us, before the clock strikes midnight and the year comes to a close, check out Toro Y Moi’s Samantha.